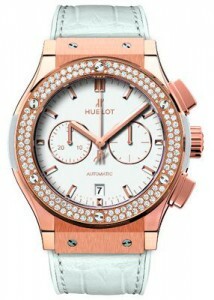 Watchmaker Hublot has released a new version of the clock Classic Fusion – model White Chrono. 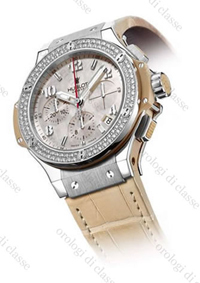 Chronograph presented in two versions – in the case of titanium and alloy King Gold. Body with a diameter of 42 mm and is decorated with 42 diamonds weighing 1.35 carats. White dial features overhead hour indexes, central arrows to indicate the hours, minutes and seconds, chronograph counters at 3 and 9 marks. 6 hours is the date aperture. Inside the case is automatic caliber HUB1100 with 42-hour power reserve. 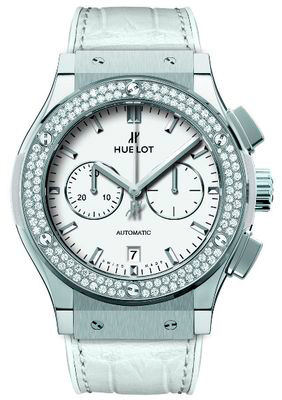 Watch Classic Fusion White Chrono supplied on a white leather strap. The famous watchmaker Hublot has introduced a new model from the Italian soccer club Juventus. 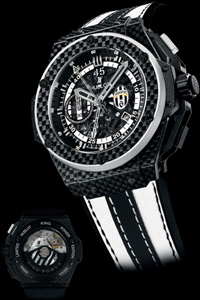 As you know, Hublot is a sponsor of the Turin club, hence the name of the new items – King Power Juventus Turin. 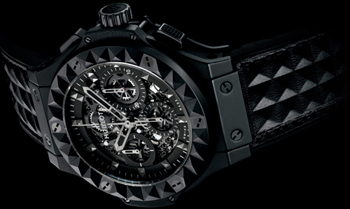 The famous watch company Hublot and British music band Depeche Mode (Journal of Fashion) have joined forces to raise funds for a new charity initiative. The company Hublot presents a masterpiece of watchmaking art – Classic Fusion Skeleton Tourbillon Black Ceramic with skeletonirovannym face and the most beautiful hour complications – the tourbillon, the carriage of which is located at position 6:00. Skeletonirovanny dial with well-defined contours and shaded surface harmony with alternating matte and polished finish case. Recently at Chasa Montana in Samnaun in the Swiss Alps presented a new collection of Watches Big Bang Jeans from the Famous Brand Watch Hublot. This collection includes Three Female Models and one male model Oceanographic 4000 Jeans, dial and strap are made of denim Dsquared from the Italian company Zegg & Cerlati. 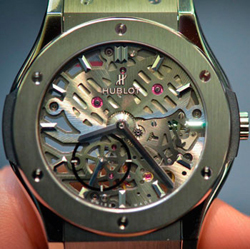 In the past, the famous watch company Hublot has pleased his fans magnificent clock. 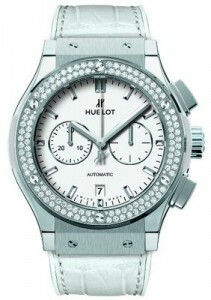 Compared to other models of the brand, the novelty is uncharacteristic brand Hublot little thick shell. 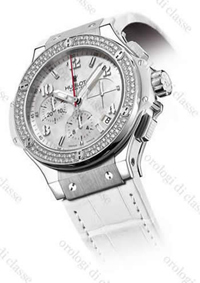 While model Classic Fusion Extra-Thin Skeleton was equipped with a large body diameter of 45 mm. 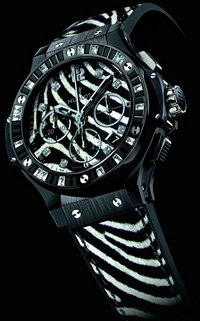 Hublot watch company continues to produce watches with the jungle theme. Releasing “leopard” Big Bang Leopard watch and “pitonovye” clock Big Bang Boa, the company introduced a new watch Hublot Big Bang Zebra Print Halter simulating wool zebra.